The San Diego-based brewery is pulling distribution from 33 states, a casualty of oversized ambitions. This week, San Diego’s Green Flash Brewing Company announced a significant “streamlining” of its business. Founded in 2002 and listed as America’s 37th largest craft brewer as of 2016, the company was available in all 50 states – a pretty rare achievement in the craft industry. Comparatively, Stone Brewing, the country’s 9th largest craft brewer, only hit that milestone as of this past September. But apparently, Green Flash decided it was in over its head, choosing to pull distribution from a whopping 33 states and instead focus on 17 key markets. As a result, the company also axed 15 percent of its workforce. This decision comes at a time when midsized brewers – a.k.a., the largest craft brewers – are taking a lot of the blame for the craft industry’s recent woes. While the total number of breweries continues to grow nearly exponentially, passing 6,000 in 2017, overall sales growth has become stagnant. However, smaller, often new breweries are doing fine, seeing 25 percent sales growth in the first half of last year, according to the Bart Watson, chief economist for the Brewers Association. Instead, larger craft breweries, “which are far more reliant on distribution, continue to grow at a slower rate than micros,” he wrote at the time. Green Flash is a textbook example of the problems faced by midsized brewers because the company has made pretty much every mistake a midsized brewer can make. For those unfamiliar with the brand, Green Flash came to prominence with the 2005 release of its West Coast IPA – a stunning, delicious and defining take on the West Coast style crafted by then head brewer Chuck Silva. Had its production remained smaller, the beer might have garnered a legendary status becoming something like Pliny the Elder, the kind of brew diehards would still be seeking out to this day. But instead, West Coast IPA was suddenly everywhere, driven by the ambitions of Green Flash’s extremely business-minded co-founder Mike Hinkley. At first, such access was delightful, but as West Coast-style IPAs began to give way to New England-style IPAs, Green Flash West Coast IPA found itself in an awkward position: It was no longer rare enough for people to seek out, but stylistically speaking, it wasn’t in vogue enough to be an everyday drinker. Meanwhile, as more and more breweries continued to pop up all over the country, Green Flash had to fight for consumer loyalty against local brewers, an easy battle to lose. By 2014, Green Flash completely reformulated the beer: It was still called West Coast IPA, but it was essentially version 2.0. By 2015, Silva left the company. West Coast IPA had officially gone off the rails, and in some ways, Green Flash had as well. At the same time, Green Flash was jumping on all sorts of fashionable beer business trends, often with dubious results. In 2014, the company acquired a smaller, beloved cult brand known as Alpine; however, similar to West Coast IPA, bringing this brand to a larger audience ruined its cachet. 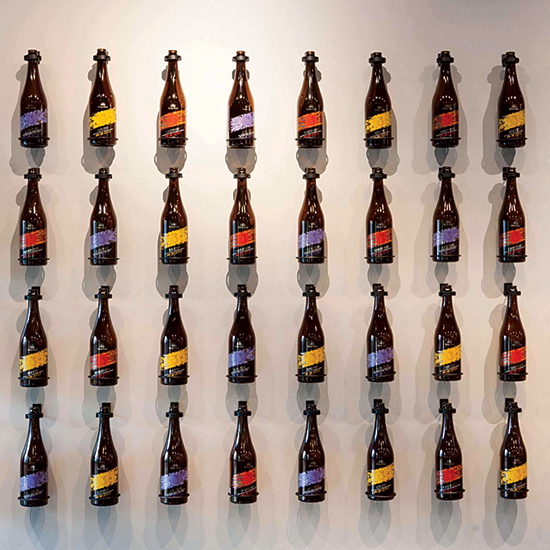 Green Flash launched a barrel-aged program, but in 2015, a quality control issue caused a significant fan backlash. And in 2016, the California brewer decided to build an East Coast facility, a decision that, in retrospect, could be seen as another example of overexpansion (though for the record, the states near this new brewery will continue to be ones where their beers are distributed). Overall, the issues Green Flash and other midsize brewers face are right there in the name of their business: craft brewing. Certain ideals come with defining something as craft: a level of handcrafted quality, likely some level of scarcity, often times a local bent. As brewers get bigger, holding onto that idea of “craft” becomes inherently more difficult. Meanwhile, the craft beer industry tends to be more susceptible to the whim of trendsetter than other products. Bigger brands are less adept at quickly shifting to meet changes in consumer demand which can also turn size into a disadvantage. Of course, plenty of larger craft brewers are navigating these waters successfully. And Green Flash has faced other issues – which aren’t necessarily worth getting into here – that have also contributed to some of its struggles. Still, what Green Flash is going through presents a moral to all breweries, regardless of size: Success in the craft beer world is multifaceted and tenuous. And big craft beer will always be a difficult oxymoron to overcome.